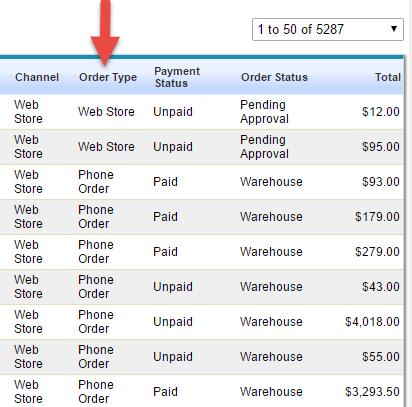 What is the Order Type, and how does it apply to my orders? Web Store: Orders placed through the front end of the website. Phone Order: Orders placed for the customer by a representative. Walk-In: Orders that are completed via the POS module. Note: If an administrator uses the Log in as Customer feature to place an order, the order will have the Web Store order type, as it was placed on the front end.